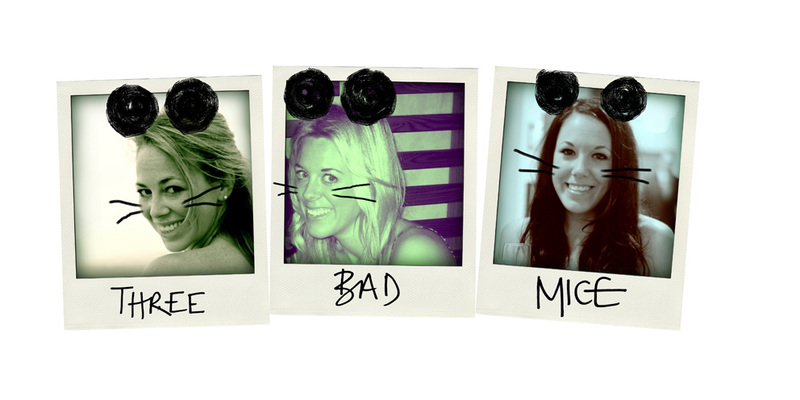 All three of us Mice are great lovers of food...be it a restaurant feast, a full blown home cooked meal, a sort of home cooked meal courtesy of Secret Ingredient or a pretend it's home cooked Housebites banquet delivered to our door... As long as its tasty and accompanied by good wine or a couple of cocktails, then we're pretty much in Mice heaven! HK mouse has the Hong Kong restaurant scene covered and Middle and I try to frequent as much of London's ever growing foodie world as we can! However, the one area that's definitely my weakness is Central London. Its always the place everyone suggests as it's in the middle to meet after work and is easy for most people to get home. 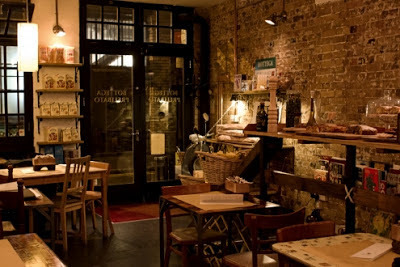 I love The Riding House Cafe and Bonnie Gull but I am becoming a broken record with those being my only suggestions, Polpo and Flat Iron are equally both delicious but the location right by Oxford Street paired with a no reservations policy means waiting time and eating carbs at an hour that they should never be eaten! Aside from these culinary highlights, I find because this is the centre of town, every two steps there's a tourist trap, in the form of a same old same old chain, a restaurant claiming to be the 'Best of London' or somewhere extremely overpriced...take Aqua for example - gorgeous interior, tasty food and drinks, but £18 for an espresso martini is a little bit crazy...! East London is obviously where I know best. I love that it's bursting full of unusual gems and one of a kind concepts, yet still manages to offer paired back authentic restaurants and pubs. 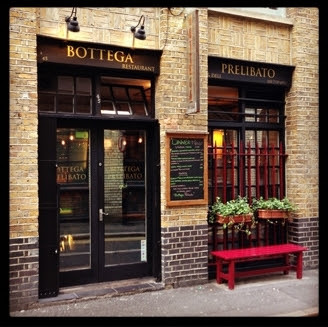 One of my favourites has to be Bottega Prelibato, a fuss free, truly authentic Italian restaurant on Rivington Street. It has sweet checked table clothes, a chalk board menu and an intimate and warm atmosphere. They specialise in fresh egg pastas and cured meats, the menu is short and ever changing based on the best ingredients available that day and I'm always impressed with whatever I choose. And Bottega Prelibato not only dishes up good food, but also has a great Sancerre to sip on plus, when the bill arrives it doesn't make your credit card wince! So when a friend of mine who has just got back from Barbados, suggested a catch up to discuss everywhere that she visited and what she ate (truly obsessed! ), we planned to meet in 'central' of course! My aim was to find somewhere as sweet as Bottega Prelibato with spot on food, but within walking distance of Oxford Circus...challenging! 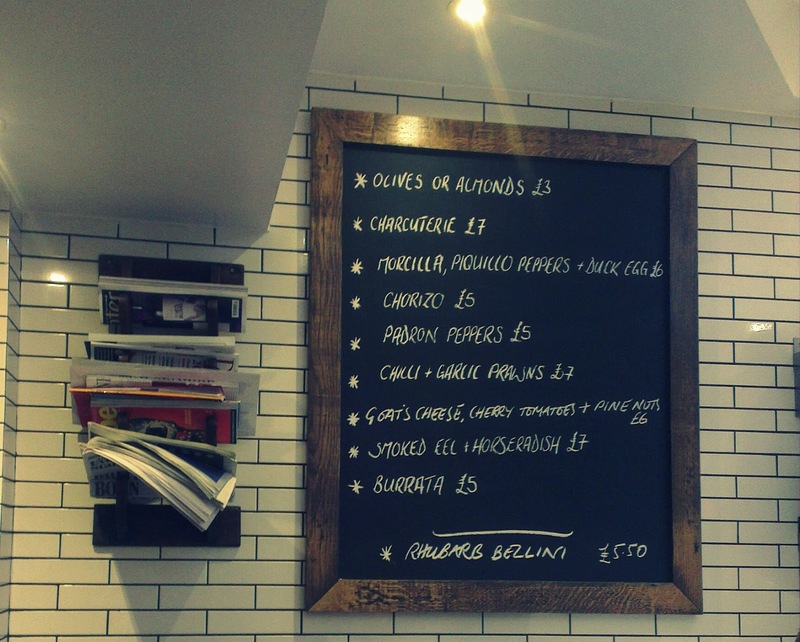 Or not so much...step up 10 Greek Street, Soho's answer to my culinary prayers - a simple Modern British menu with a Mediterranean twist delivering killer results! Be prepared, it's no reservations so not an ideal place to go with a big group as you will have to wait longer to be seated. However pop in and add your name to the list, forget waiting at a teeny bar, angrily watching people eat at the speed of an ant, but instead they take your number and call you when your table is ready. 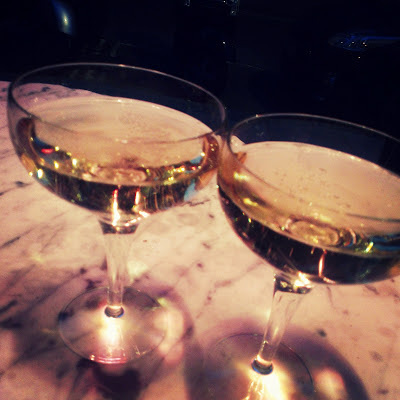 Dean Street Townhouse, Ceviche and Cafe Boheme are all in close proximity and perfect places for a pre-dinner tipple! We opted for some sneaky champagne at Dean Street Townhouse...it was Thursday after all! About 30 minutes later we got a call and off we skipped to our table which was ready and waiting for our arrival! The decor is clean and simple - white tiled walls, over sized black board menus hanging beside over-sized mirrors and simple hanging lighting. 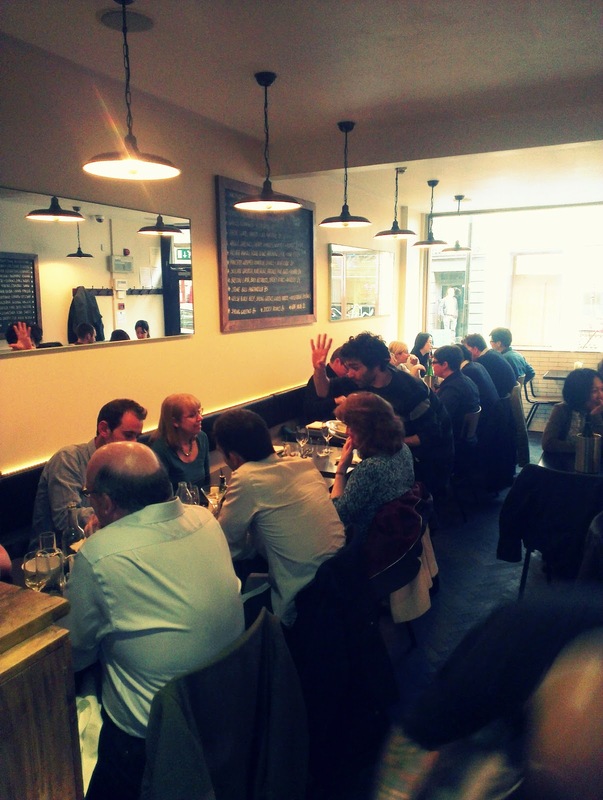 A cosy, intimate restaurant with a buzzy and upbeat atmosphere. As I've said the food is spot on, they make everything sound very simple on the menu, don't be worried if you don't feel too inspired whilst picking as the simplicity can do this, however I guarantee when you tuck in you won't be disappointed. We went for the padron peppers and burrata to share as starters (both delicious and gone in seconds) and for main I picked the gnocchi and my friend had the ravioli. 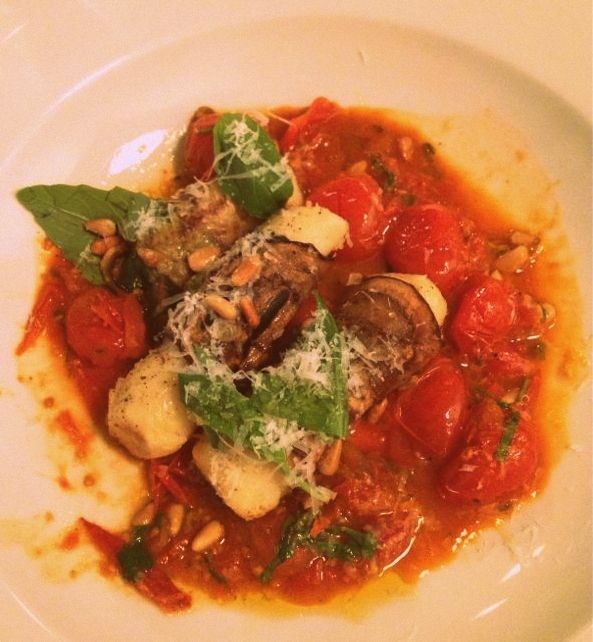 Bursting with flavour and super fresh scrummy ingredients, this was seriously good food. The bill for two starters, two main courses and a bottle of crisp Sancerre came to £35 each - great value for a faultless meal, buzzy atmosphere and of course all enhanced by the perfect company and Barbados stories! 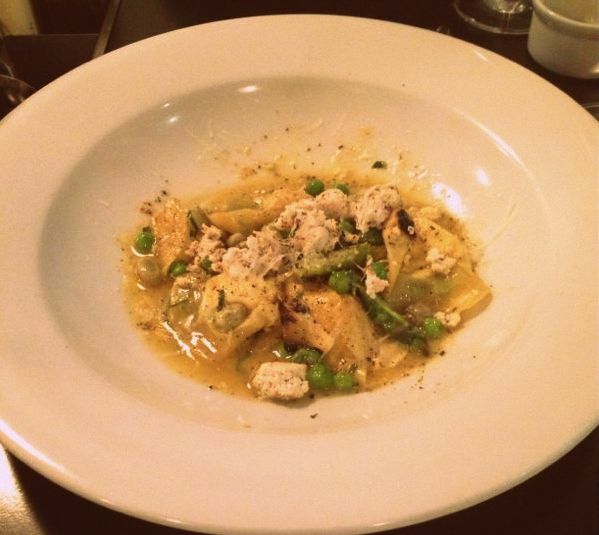 If you're ever in Soho looking for dinner you'd be a fool not to give 10 Greek Street a go! !